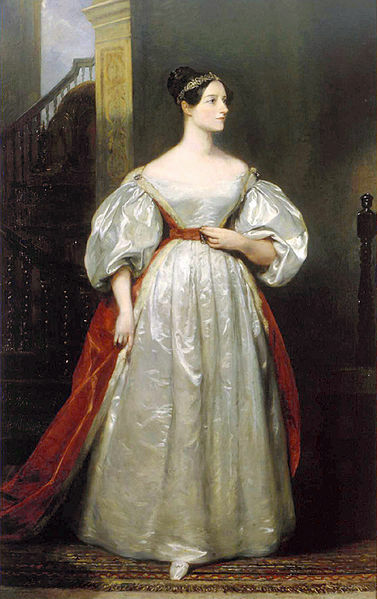 October 7th is Ada Lovelace Day! Although every day should be a day to celebrate the achievements of women in the sciences, sadly few folk think hard or long about them. Most people can rattle off the names of a dozen famous male scientists or inventors, but come up with a short list that begins and ends with “Marie Curie” when asked to name accomplished women. Several years ago a group was formed to bring greater awareness of women’s contributions to technical fields. They started Ada Lovelace Day (http://findingada.com hashtag #ALD11 ). Past ALD posting events have called for folk to honor particular (usually unsung) historical women of accomplishment. I had great fun doing so. This year’s call is different, and far closer to home. The request is to name a personal heroine – a woman in science, math, technology, or engineering – who has shaped you to become who you are today. My Ada Lovelace honoree is Anne Street. I met Anne back in the ’80s, when we both worked for an engineering firm specializing in infrastructure. She has a dazzling technical background, with multiple degrees from MIT, at a time when women MIT graduates were few and far between. Her specialty then was business development for applied engineering, and she took me under her wing as she made her rounds of the nuclear industry and associated Government and research entities. Anne taught me a lot. There’s the obvious – how to read and answer Government requests for proposals. And there’s the not-so-obvious. How to engage engineering vision. How to distill the musings of the stratosphere-inhabiting set and transmit their thoughts to non-tech folk, without being didactic or condescending. How to be the only (or almost only) woman in a field dominated by men; taking neither nonsense nor prisoners, but doing so by subverting from within rather than wasting energy on pointless direct confrontation. How to lead the unwilling. How to build a team of people who might not be happy about putting in after hours and weekend work; shaping them so that in the end they were damned proud that their output was of the highest quality, because that way all the overtime was a badge of honor, and not wasted effort. Through all of this ran a wicked sense of humor. She held a wake when a particularly large and desperately desired potential opportunity came in as a loss – complete with black balloons, a model coffin, and wilted flowers. The telephone play of her convincing the florist that she WANTED dead, droopy flowers was priceless. Her parties were legendary: Tinkertoys as icebreakers; mystery role playing gatherings; just the things to make totally unconnected creative folk from many walks of life unwind together, even though they had just met as strangers. I still have the glass lampwork beads and jewelry we made. Three houses and 20 years later – her daylilies still bloom in my yard. And I’m still writing engineering proposals. But most of all Anne was always the epitome of encouragement. There was no field, no technical arena, no bit of knowledge too arcane to tunnel into and to share. She taught me to step aside and engage the brain when I read, to assess not only face value content, but possible sub rosa influences; and to always look for the proof or the root cause. And that in the end, everything can be researched because there is no priesthood. Women and men without tech degrees can through curiosity, enthusiasm and perseverance, always find meaningful and substantiated data. Anne today is president of the MIT alumni association, where I am sure she’s using connections and influence to further the cause.